Guitarists today can be a discerning and demanding bunch, and we get it! Is it really too much to ask for high-quality sound, good build quality, at a low price? Thankfully, no – guitar builders are bridging the gap between cheap, mass produced guitars and expensive, handmade ones. A step up from entry-level, these guitars are a great balance of craftsmanship, sound and durability. 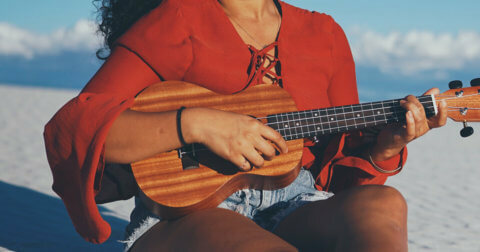 Features usually associated with higher-end guitars like full solid bodies can now be found on acoustic guitars with a price tag that doesn’t break the bank. 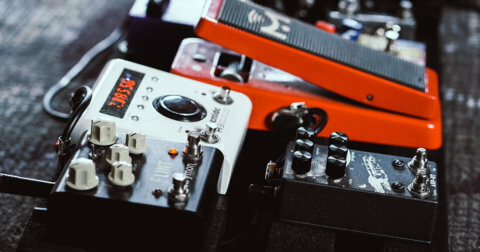 Some feature electronics and pickups too so you can plug them into amps and PA systems or record yourself playing, offering you much more creative and performance potential with your next acoustic guitar. The Cort Gold series has one focus above all – sound. That’s a great start when tone is often the most important consideration that people have when buying a new guitar. Boasting a solid Sitka spruce, solid mahogany back and sides and a genuine bone nut and bone saddle, the O6 is full of top of the line features that all contribute towards its rich tone. Cort has also treated the guitar with a process they call Aged To Vintage (ATV). This involves torrefaction. The tops of the guitar are kilned to replicate the conditions of consistent use which fast-forwards the guitars ageing process. This gives the guitar the big, open tone of a well-played, decades-old guitar. Similar to the Cort Gold Series, the Ibanez AVD10 has gone through a process Ibanez calls “Thermo Aging”. Thermo Aging sheds moisture from the wood, aiming to replicate the low-end and treble response of a vintage guitar. 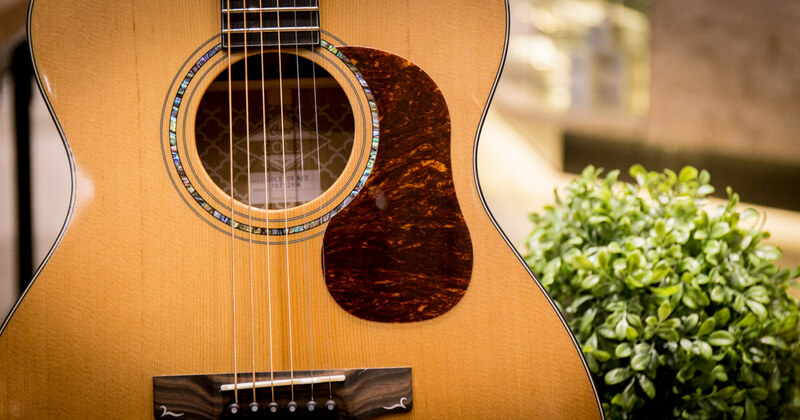 The AVD10 is dreadnaught shaped acoustic guitar. It has a solid Sitka spruce top and a solid mahogany back. Built exceptionally, it even sports beautiful aesthetic details you see on high-end guitars – a violin burst finish, herringbone purfling, grained ivoroid binding and mother of pearl fingerboard inlays. True to it’s “Masterbilt” tag, the AJ-45ME is a demonstration of top-notch craftsmanship. The guitar is a tribute to its legendary slope shouldered, flat top cousin – the Gibson J45. Epiphone has its own distinctive appointments too. Its headstock with the old-fashioned script logo is a throwback to the 1930s Masterbilt archtops. The AJ-45ME has an all solid construction for a rich, deep resonance, with a solid Sitka spruce top and solid mahogany back and sides. Add to that a built-in Shadow NanoFlex under-saddle pickup with EQ controls, the AJ-45ME is a versatile modern-day workhorse – perfect for the stage, studio or bedroom. Epiphone has delivered a fine take on the beloved slope shouldered dreadnaught, bringing its price down without compromising on quality or tone. Taylor launched the Academy series guitars in 2017. 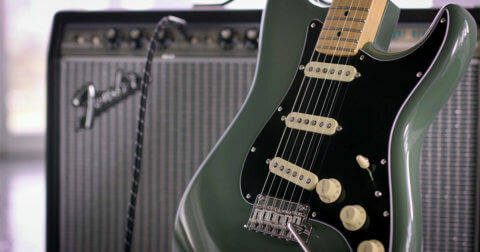 A stripped-down, cost-effective guitar that was designed for maximum playing comfort and sound. 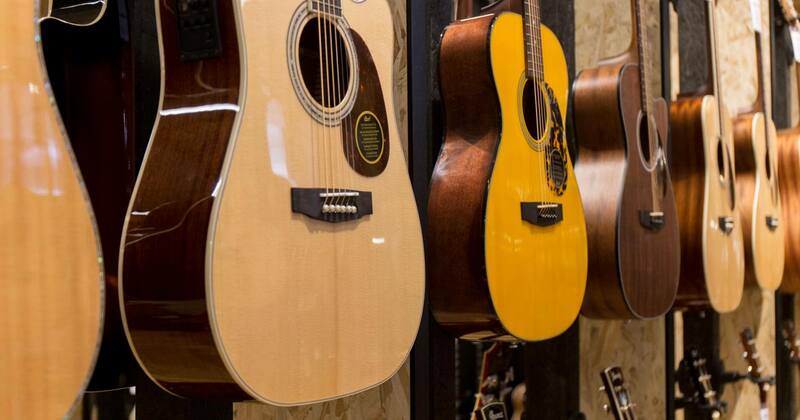 Major acoustic guitar manufacturers would use cheaper material and send them to an offshore factory to produce lower costing versions of their high-end guitars. Taylor went back to the drawing board with the Academy series, stripping away the binding and any other ornamental details and focused instead on playability and tone. Lots of thought has gone into the Academy line of guitars. Ergonomic features like the bevelled armrest make it more comfortable to play whilst seated. A shorter 24-7/8-inch scale length and a wider nut width adds to ease of fretting. The new onboard ES-B electronics features a built-in digital chromatic tuner in addition to the usual volume and tone controls. Don’t be fooled by the “Academy” tagline, Taylor has made a guitar that will appeal to guitarists of all levels of experience. So there you have it! We hope we’ve given you plenty to think about before making your next purchase! Swee Lee stocks many more acoustic guitars under $1,000, so why not head down to our flagship store at The Star Vista and give them a try? If you need any help, just ask one of our experts who’ll be more than happy to assist. Until next time. Happy strumming!